The best water damage New Jersey company will tell you that installing the right sump pump for your basement depends largely on how much horsepower you need for the space, how much flooding you typically get, your budget and your preference of type. All sump pumps are different, so you’ll need to do some research and consult with your trusted plumbing professional for advice. This machine is a specialized pumping mechanism designed to remove water that has collected in an attached basin. 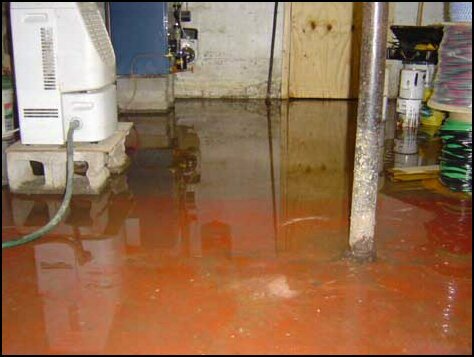 Sump pumps are usually installed in basements because this is where the majority of flooding occurs. Homeowners who are prone to flooding because of where their house is located are in need of sump pumps in case of water run-off due to storms. A sump pump can get rid of all that accumulating water via a perimeter drain that pumps the water away from the home and into a dry well or municipal storm drain. You’ll soon find that there are many different types of sump pumps on the market. The most popular are the submersible and pedestal. For a quieter action and more efficient operation, go with the submersible. This type features a pump that’s submerged under the water. A pedestal pump is located above the water line and is a bit noisier, but it still gets the job done. When looking into which sump pump is best for your basement, call in the professionals. A water damage company can advise on which one to choose based on a few factors. These factors include how often you get flooded, the size of your basement or crawlspace and how much you are willing to spend. They can help you determine the correct horsepower you will need for your sump pump along with the diameter needed for your basin and discharge. You can even get help with installation of the sump pump. This typically involves breaking through the basement floor, installing the pump in the basin, and hooking up the necessary valves and discharge pipe. There are several reasons why you as the homeowner would need a sump pump in your basement. The most common reason involves living in a flood zone where you experience frequent flooding during storms or spring melt offs. Sometimes you may get water damage due to a water heater leak, ruptured hose or other emergency that happens only once in a while. It’s crucial to get the water out of the home, and a sump pump can handle that job. If left unchecked, water damage can lead to the harmful growth of mold and even possibly structural damage that can render your home unsafe over time. Keeping your family safe and healthy is the main goal here. That’s why getting the right type of sump pump installed is important to the overall smooth operation of your basement during a storm. If you feel overwhelmed in your choice, consult with a qualified professional who can provide top-notch sump pump recommendations and installation.